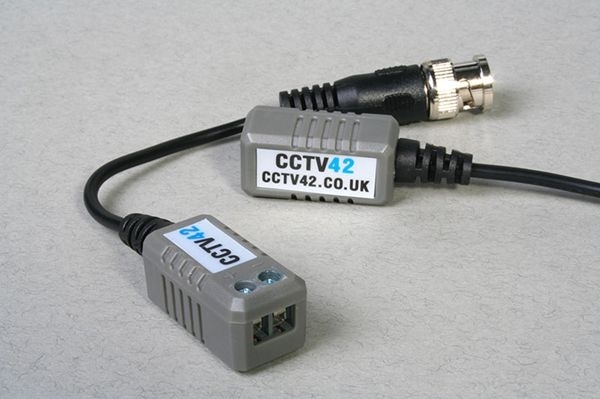 Video baluns are used to transmit the output video from a CCTV camera to the DVR recorder using CAT5 or CAT6 cable. These passive video baluns are capable of sending a clear video signal distances of up to 300 metres in standard definition or 150 metres in High definition depending on the cable used. They have a small flylead attached which make them particularly good for use in tight areas such as behind a DVR or in a weatherproof box for a camera. The lead prevents strain on the input of your DVR recorder. 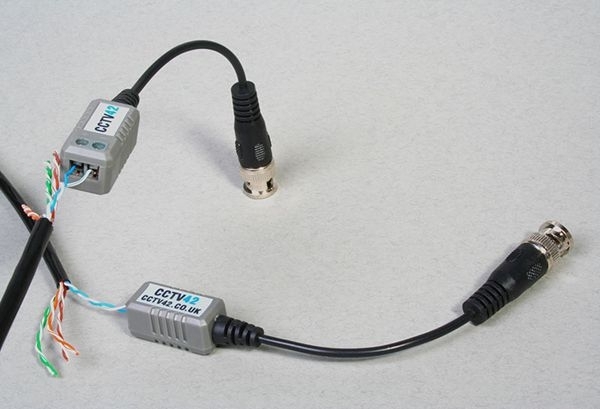 Extremely simple to use, one balun attaches to the BNC plug on the video camera, the other to the BNC video input connection on the DVR recorder. They conect to the cable using a push in connector. 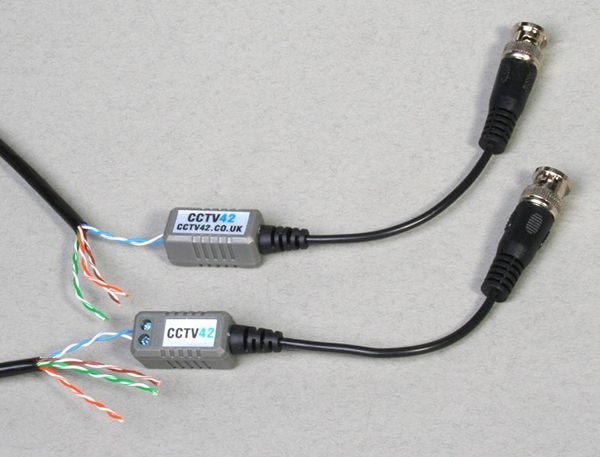 Using this method up to 4 camera signals can be carried using a single cat5 cable. 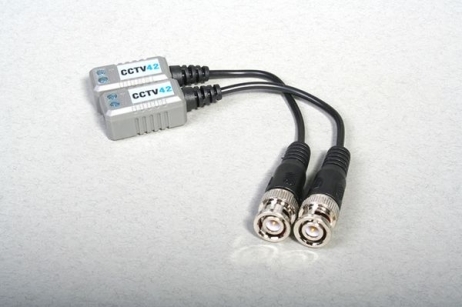 By combining these video baluns with our DC Screw Plugs and DC Screw Sockets you only need a single length of CAT5 or CAT6 cable to provide the camera with 12 volt power and bring video signal back to the DVR. 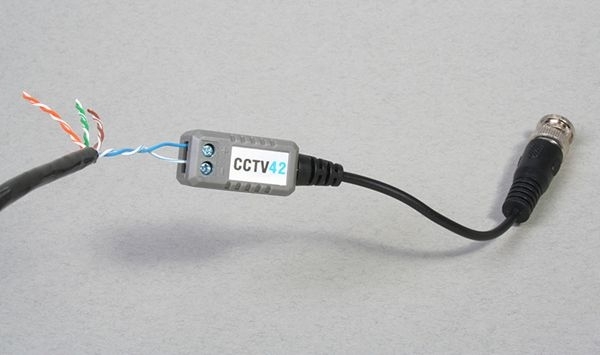 Please see our CAT5 Wiring for CCTV page for more information. When using cat5 cable for this purpose we recommend the use of pure copper cable rather than cheaper CCA (copper clad aluminium) cable. As well as better conductivity it is also more resilient. 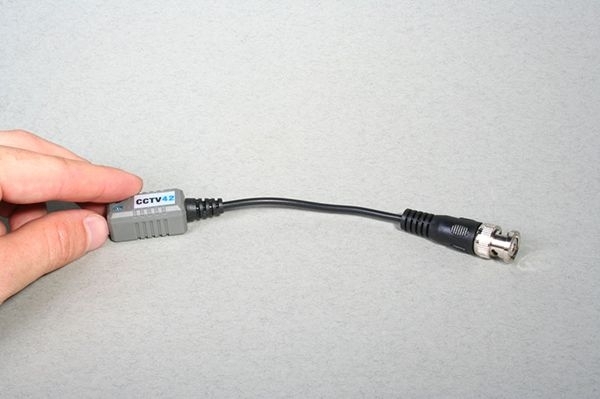 The screw DC plug and screw DC socket are not included in the Balun kit but are available separately in our power cabling connection section. Be aware that there are lots of so called video baluns on the market which aren't actually baluns, they have no electronic components just a wire which joins the BNC fitting to the terminal connectors.